A new report from third-party consultants says the Greek system at the University of Missouri is falling short in key areas. Dyad Strategies, a small consulting group that specializes in Greek life, was hired by the university to compile the report as part of an overhaul of campus life administration earlier this year. According to the report, employees from Dyad visited the school in mid-August to conduct in-person meetings that formed the basis of its conclusions. The report does not directly address recent issues of student conduct in MU Greek life at length. 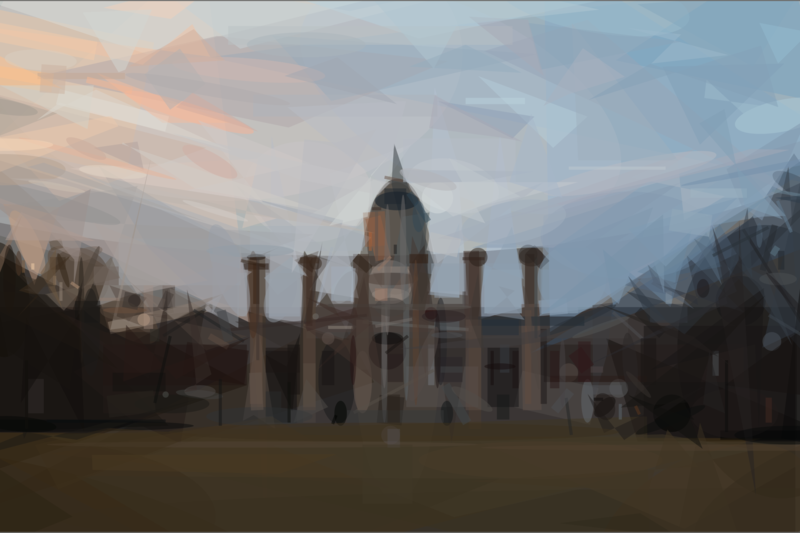 Sexual harassment and assault are not explicitly mentioned in the report's outline of MU Greek life’s current “liabilities,” while concerns about alcohol-related hazing incidents are voiced for just one paragraph, less than one percent of the report’s total length. Instead, it focuses on administrative practices. Among its chief concerns are a number of fraternities or sororities that, after being sanctioned with removal from the University’s Greek life roster, continue to exist as “underground organizations,” in effect participating in Greek life activities without supervision. The report suggests granting these organizations a reprieve and returning them to official status with further training. The report also suggests a formalized three-tier structure for discipline, which formally establishes punishments for things like being too loud or providing alcohol to minors, which it classifies as “low level” and “mid level” infractions. “High level” violations, like hazing and sexual assualt, would be evaluated on a per-case basis. In a statement Thursday, Interim Vice Chancellor for Student Affairs Gary Ward said the report was intended as a starting point, and school officials have not yet decided how policies may change. “I’m grateful for the work of Dyad Strategies…this report was a first step, and we look forward to building the future of the Greek system while keeping in mind that campus safety is our our top priority,” Ward said. 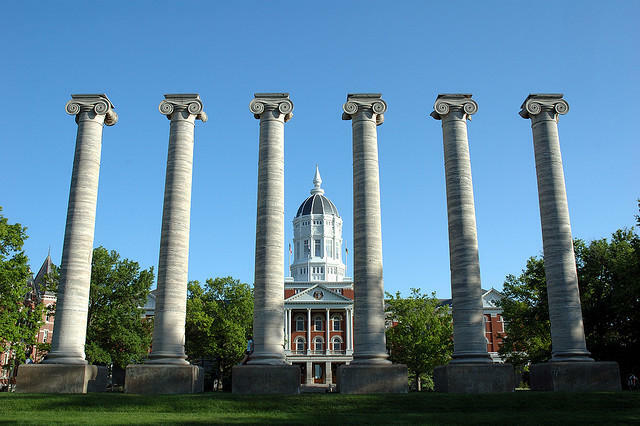 The University of Missouri in Columbia said it has temporarily suspended a fraternity after a hazing incident. The university announced Monday the action against the Kappa Alpha fraternity but provided no details about the alleged hazing that occurred last week. The Columbia Daily Tribune reports the action comes after police investigated a report last week of an underage student who was taken from the fraternity to a hospital with alcohol poisoning. Police spokeswoman Latisha Stroer said the investigation into that incident is ongoing. 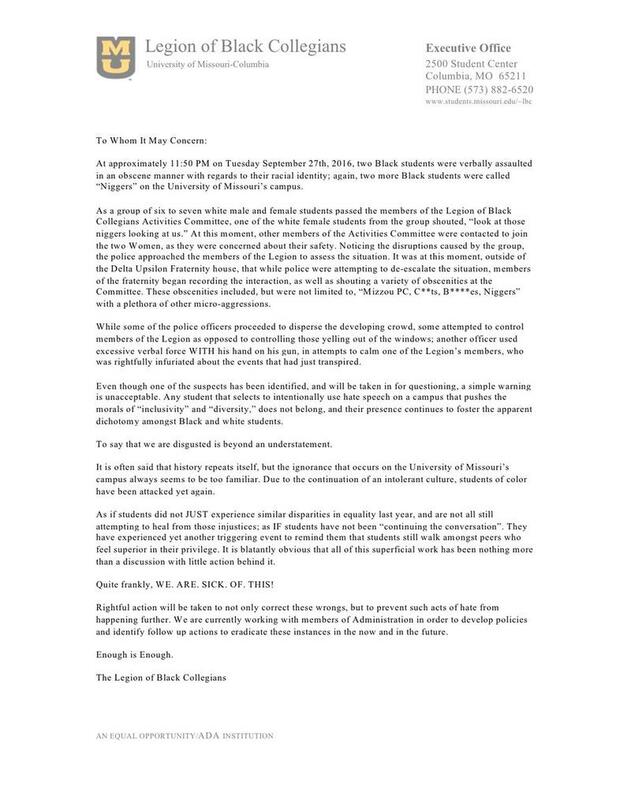 The University of Missouri announced Tuesday that is withdrawing the recognition of Kappa Alpha fraternity as a recognized student organization, citing "multiple violations" of the MU Standard of Conduct.